Universal alternator bracket ideal for all applications. MOUNTING BOLT KIT For Gear Reduction Starters. New marine alternator. USCG Approved. Marine High-performance permanent magnet gear reduction Starter. 70 Amp Single Wire Marine Alternator Rem. Re manufactured marine alternator. USCG Approved. Marine High-performance permanent magnet gear reduction 2 long bolt staggered pattern. 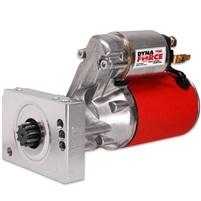 The MSD DynaForce Starter is designed to crank over the highest compression engines on a hot day in Death Valley. 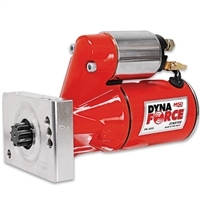 Anyone who struggles to start their Chevy race engine reliably because the starter can’t keep up needs to check out the new High Speed DynaForce Starter.